My Buddies’ Ages are: Both two months. My Buddie’s Favourite Treats: Ice creams and chew sticks. My Buddies’ First Love It’s me. Q: My cat who is nine years old is showing pain and difficulty in movement. Please do advice. Q: I am planning to buy a Labrador Retriever puppy. Please tell me what are the pre/post things I should check/do? Also suggest how many month old pup should I buy? Dr. K.G. Umesh: Owning a dog is a big responsibility and giving your dog the best care and attention can help to improve the quality and length of your dog’s life. The best age to bring a puppy home is when he is eight weeks old. The best place to obtain a pedigree puppy is from a recognised and reputable breeder or recommendations from your veterinarian. It is always best to see the parents/mother to check that they/she is healthy and have good temperament. Don’t buy from a dealer who has bought in puppies from several sources (a puppy farm). The risk of disease and stress-induced illness is greater for these puppies and this type of trade should not be supported. 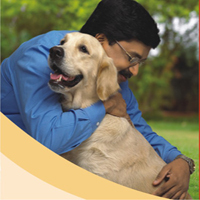 Consult your vet to have a complete health check and examination before you bring him home. The list of essentials you’ll need for your puppy’s first big day home are weaning or puppy food from a reputed manufacturer, feeding/water bowl, collar, leash, safe toys and chews, shampoos, brush/comb and also a puppy crate. Make sure that he has a comfortable bed and it is fairly normal for a puppy to be restless at first until he is adjusted to his new home. Q: Do advice how to take extra care of female pets when they start getting their period cycle? Dr. K.G. Umesh: Puppies usually have their first heat at about six months of age; however, this can vary from breed to breed and can occur as early as four months of age or as late as 18 months. The female-dog is usually in season for about three weeks and she becomes increasingly attractive to males during this period. Her own behaviour may also change and she may become restless and more excitable, but it is normally not until the second week of her season that she will allow the male to mate with her. However, all female-dogs are different and sometimes a male can mate as early as the first day of her season or as late as the last day. Therefore, be sure to keep your female dog well away from male dogs right throughout her season, unless you wish to breed. Most female-dogs, if un-neutered and if not mated, will come into season approximately every six months, although very large breeds of dogs may cycle anything up to once in 15 months. You can postpone her cycle using pills or consider neutering which has several advantages. Q: I recently got an abandoned Labrador pup, who is 35 days old, Alvin (my pup) is quite agile & playful. He is around one kg body weight and has a good appetite. Is he underweight? Do advice the growth rate of a lab –till he becomes an adult. Dr. K.G. Umesh: Historical information is very important, especially regarding diet, daily activity, environment, signs of digestive disease or any specific disease to identify underlying cause of poor weight gain. Typically, a puppy’s growth is influenced by nutrition, genetics and environment. The list of likely different causes for a puppy with poor weight gain despite a normal or increased appetite is much different and much shorter than that for patients with decreased appetite or anorexia. However, they share a common feature – insufficient caloric intake or availability to meet metabolic needs. Please make sure that you are feeding as per feeding guidelines and increase quantity of feed by 10 percent for every extra one hour activity. Avoid supplements when he is exclusively fed on weaning or puppy food. Please get your pet examined to rule out any underlying medical problem and monitor weight of your puppy on weekly basis. Lab puppy may weigh between 2-5 kg at 6-9 weeks to 27- 30 kg at 12-16 months of age. Please ask your vet for Waltham puppy’s growth chart and body condition score that help to assess growth of your puppy. Q: My Basset, who is two years old, is suffering from a recurring ear infection which has a bad odour and a discharge. 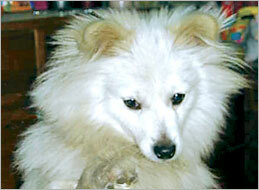 I have consulted a veterinarian but the problem recurred after two months. Please let us know how to prevent this situation. Dr. K.G. Umesh: Recurrent ear infection is common in Basset hounds for several reasons. Your pet may have an anatomic ear problem—often stenosis, but a growth, excessive hair, and poor conformation are also possible. Ear infections usually become chronic or recurrent because the infection is caused by an unusual or very resistant organism or the infection is very deep and has never been cleaned or treated aggressively enough. Most frequently, an underlying disease (parasites, atopy or allergy or seborrhoea/endocrine disease) predispose to recurrence. Failure to address the underlying cause in a pet with chronic ear problem dooms one to treatment failure. Your vet may advise series of tests including cytology to find the underlying cause. Therefore each factor must be considered in your pet and, if present, must be corrected before the ear disease will stay in remission. Q: I have two Lab Retrievers – a male and a female. I give my pets bananas to eat. Can dogs eat fruits? Q: My dog has been vomiting and is showing loss of appetite. Please advice. Dr. K.G. Umesh: Vomiting is merely a sign and may result from many disorders (digestive and non digestive like kidney, liver etc). Most vomiting cases are acute and reversible, requiring only supportive and symptomatic therapy. Generally it is advised to withhold food and water for at least 24 hours and introduce highly digestible food like rice, avoiding high fat diets. In contrast to acute problems, chronic ones are rarely self-limiting and it is usually essential to establish specific diagnosis (with help from lab tests/investigations) and appropriate therapy.